For example, on my January 21, 2018 run I paused my watch at the end of my run, but forgot to end it. Then drove home and ended the run. When imported, this results in a long straight line across town. Is it possible for you to omit the paused sections? You can use https://www.fitfiletools.com/ to edit the file. I might be able to programmatically avoid syncing those into CityStrides, but I probably won’t be spending the time to accomplish that. I’m unsure if non-admin users have access to delete individual activities - if there’s no menu option for you, let me know if you’d like me to do that for you after you’ve edited the activity in Runkeeper. Aw, that’s too bad - after it imported all my activities it turns out I have a lot of these little straight lines, as I pause during long runs to take fuel. But I did find the “delete activity” link – I couldn’t find it last night, but it is there. So I manually re-created the run in RK as two separate runs, then deleted the full version from both CS and RK. That seems to have worked, so I guess I’ll do this for the most grievous of the pauses. I should add - Unfrotunately I can’t edit maps in RunKeeper if the run was started/stopped using my Apple watch. I know that’s a RK limitation but it never really mattered to me until I became obsessed with my maps thanks to you. 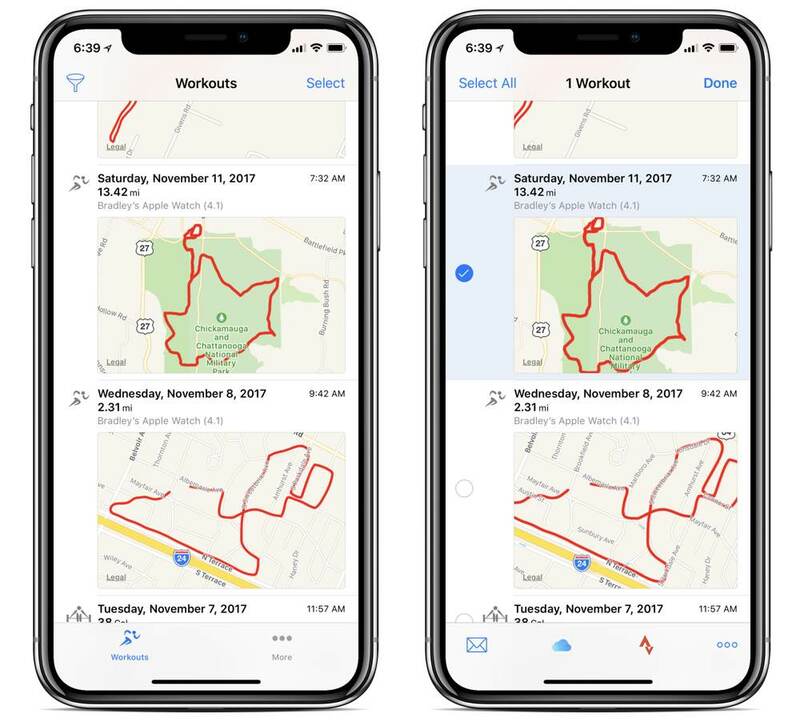 You can use the HealthFit app to export your workout data from your Apple Watch into iCloud Drive. Thanks, this is nice to know for any occasions when I use the built-in Workout app to track runs. I’m not sure it would work with my situation, though, which is using the RunKeeper app on my watch. When I use RK and start the run on my phone, I later get the option on the website to edit or export the map. But when I start the run on my watch, when it shows up on the RunKeeper website I have neither the export nor edit option. This app seems like it is intended to export Apple Watch workouts only.